I have so many questions, and nature has so many answers. However, the problem with asking nature anything: she often answers in ways that are either beyond comprehension or completely irrelevant to what I asked. For example, I asked nature for bigger, stronger muscles, and, instead, she gave me the shingles last week. So, thanks for that, nature. Which leads me to Nature’s Answer Brainstorm. Unlike the shingles, Brainstorm actually looks healthy and great for the brain and body. Yet, I’m unsure what question nature is answering with this all natural, all herbal brain health supplement. To get my interpretation of what this supplement is all about, you’ll need to read my Nature’s Answer Brainstorm review. Nature’s Answer Brainstorm Review: Okay, but What Was the Question? Who Takes Nature’s Answer Brainstorm? Conclusion: Does Nature’s Answer Brainstorm Work? 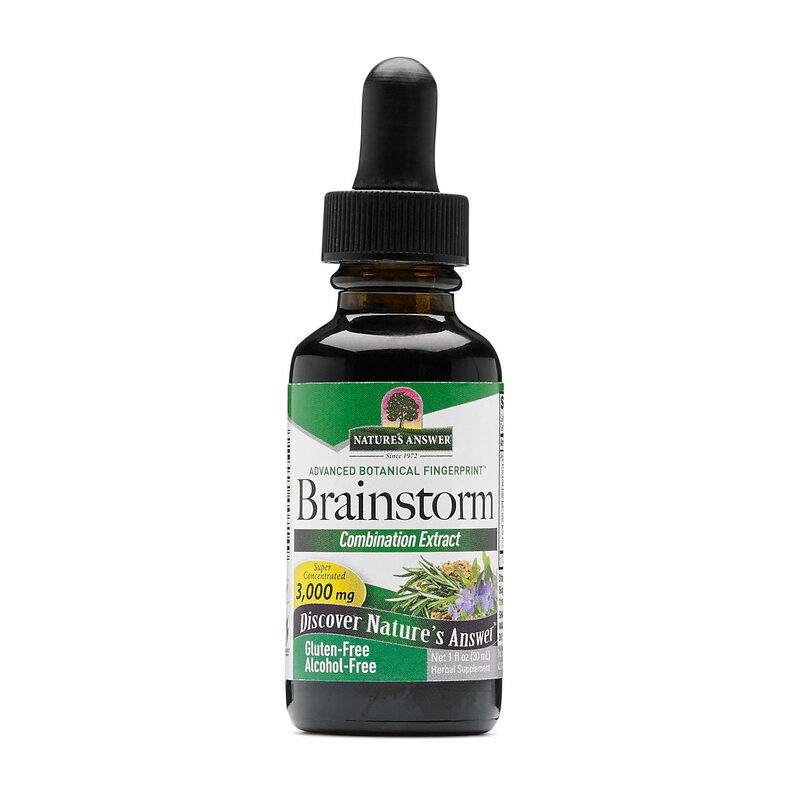 Manufactured by Nature’s Answer, Brainstorm is an herbal Combination Extract of seven brain (and body) healthy botanicals of traditional value. Ginkgo and Gotu Kola top the proprietary blend as the two highest dosed ingredients. Not too shabby: these herbs may help with circulation and oxidative stress resistance. Yes, Nature’s Answer Brainstorm hides its formula beneath a proprietary blend, which (ironically) leaves a few of my questions unanswered. Directions: As a dietary supplement, take 1-3 mL (28-84 drops) three (3) times a day in a small amount of water. Ginkgo Biloba Extract – Mm, ginkgo — this ancient herb seems to benefit mental and muscular performance by enhancing circulation, increasing oxygen and nutrient delivery across the brain and body. Typically taken for elderly health, Ginkgo seems to also benefit working memory of the younger doods and doodettes. More on Ginkgo Biloba. 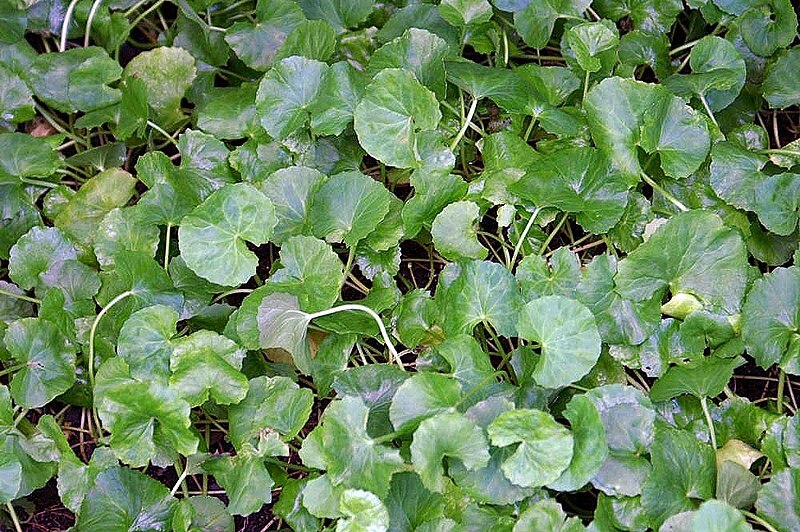 Gotu Kola Extract – Associated with Li Ching-Yuen, the guy who reportedly lived 256 years (this totally happened, guys), gotu kola is an anxiolytic (anti-anxiety), antioxidant herb with significant neuroprotective potential. More on Gotu Kola. Hawthorn Berry Extract – Anti-inflammatory, antioxidant herbal extract, potentially reducing oxidative stress across the brain and body. View it as a sort of natural “anti-aging” extract to go with the other anti-aging compounds in this mix. Periwinkle Aerial Parts Extract – Nature’s Answer doesn’t exactly label this extract as vinpocetine… but that’s the only thing that makes sense here. As a semi-synthetic compound, vinpocetine improves cerebral circulation, enhancing delivery of oxygen and nutrients to the brain. More on Vinpocetine. Rosemary Leaf Extract – This herbal extract may possess anti-inflammatory benefits, potential protecting the brain and body against harmful inflammation. Southern Prickly Ash Bark Extract – An interesting extract choice. Hard to declare the value of this ingredient, seeing that some compounds in this herb are toxic. Traditionally, this herb has been used for a number of ailments, including circulatory issues and joint pain. Capsicum frutescens Pod Extract – Mm, spicy — often used in fat burner supplements, capsicum may possess fat loss benefits by way of thermogenesis spikes and appetite suppression. Nature has given her answer with Nature’s Answer Brainstorm. However, I’m still left curious: what exactly was the question? The best guess I’ve come up with is the age-old (no pun intended) question of everlasting life. Where is the Fountain of Youth?? Apparently, it’s right here, arising from Nature’s Answer Brainstorm’s herbal extract combination of antioxidant, anti-inflammatory compounds. After all, oxidative stress and excess inflammation are the bio-markers of aging, right? Oxidative Stress – free radicals are quite literally synonymous with aging. Painful Inflammation – excess inflammation contributes to joint pain. Blood Circulation – low bloodflow contributes to an undernourished brain and body. So, in other words, Nature’s Answer Brainstorm is an elderly health supplement more so than a nootropic cognitive enhancer. Having said that, it’s never a bad idea to up your antioxidant intake, no matter your age. And Nature’s Answer Brainstorm has the antioxidants. Yet, transparency is an issue here, due to the formula’s proprietary blend status (which obscures the individual ingredient dosages) and the lack of info surrounding the contents of these herbal extracts. What is being extract from these herbs? And how much?? Until Nature also answers these questions, it’s mere speculation that leads me to judge this supplement as a “good” supplement. Although, to be fair, I do speculate that this is a pretty decent brain health supplement, for whatever that’s worth. Nature’s Answer Brainstorm offers a completely natural brain health supplement with a diverse spectrum of bio-active antioxidants and circulatory boosters. Truth be told, I’m a bit of a traditionalist, and so I dig supplements that stack traditional herbal “medicines” in updated extract formats. At no compromise to the ingredients’ quality, Brainstorm is an incredibly affordable supplement stack. The proprietary blend is a bit annoying, as it prevents us from seeing the individual ingredient dosages. Also, I’d like to see more info on the contents of these natural, herbal extracts. What exactly is this supplement for? The supplement description is pretty vague. Admittedly, 10 servings isn’t much; however, with dropper supplements, the servings may vary, unless you’re consistent in your “drop” exactness. Depending on where you buy, you may find Nature’s Answer Brainstorm at an even cheaper price than this. Due to the formula’s emphasis on circulation, antioxidants, and anti-inflammatory compounds, I feel that Nature’s Answer Brainstorm is best suited for improving elderly health. Granted, anyone and everyone may better their health and cognitive longevity by upping their antioxidant intake. However, I wouldn’t recommend this herbal tincture for on-the-spot mental performance enhancement — e.g., for the young academic or athlete. You can buy Nature’s Answer Brainstorm through various online retailers, including GNC, Amazon, and the Nature’s Answer online store. While it took a bit of decoding and interpretation for me to discern what this supplement is all about, I’d say: Sure, Nature’s Answer Brainstorm may improve general health and wellbeing. By no means would I take this for mental or physical performance enhancement; instead, I’ve listed some of the Best Nootropic Supplements of 2018 for that purpose. However, this isn’t a bad source of natural, herbal antioxidants, circulatory boosters, and anti-inflammatory compounds. Bear in mind, there’s also a cheaper, simpler, capsulated version of this formula that goes by the name of Nature’s Answer Brainstorm 2. I recommend also checking that out, if you’re into the first Brainstorm formula.